The length of the sentences, as well as the paragraph, is essential when it comes to engaging the reader. Regardless of whether you have a predetermined word count or not, keeping these short is the trick. The lengthy sentences usually have redundant words, which instead of adding strength to the sentence makes it weak. They make the paper boring as well as trickier to read, due to which reader continues to yawn his way out. Make the sentence small which make it look appealing and impressive plus easy to follow. Students are usually adamant about the fact that advanced vocabulary will improve their paper scores. Sorry to pop that bubble down, but it’s not true. The trick lies in the sentence and the context in which it is being used. A simple word is said to create an equivalent effect if the structuring and the alignment compliment it. Furthermore, the words should also be selected based on the target audience. You may have the incorporate advanced vocabulary, captivating ideas, and impressive structuring, but if the target audience fails to comprehend it, then it’s all in vain. The essence of the paper is the notion which has been integrated into it. Students, in order to make their paper stand out, must induce in original and raw ideas. This inducement instills the perspective of the student in the paper, which helps the reader to review what he has learned and nurture on, to observe the picture in the new angle. This, however, does not point towards coming out with a new theory or something but instead towards highlighting a new insight or a fact or perhaps discovery. Students want to integrate everything in their paper. This everything inclusion compels them to integrate superfluous data, with no value. The students must avoid rambling in the paper, and assimilate such information and points which thrills the reader. Adopting a strategy for eradication of irrelevant facts helps deliver a point across in an informed manner and compel them to produce a response to it. Therefore, grab your writing gear and get rid of all those weasel ideas. Effortless flow of idea means aligning every word and every sentence in an effective and smooth manner. Students must maintain a logical flow of idea and must not jump from one aspect of the topic to the other. This depicts disorientation in the paper which hinders the understanding of the reader. Adopting a criticism and correction approach is beneficial here. Always question the idea we are integrating following the prior one, this demonstrates all the misgivings which may arrive in the head of the reader. Doing this, you will be able to produce a coherent piece of writing. Starting, taking a break, and then continuing is what makes the reading more appealing. The perfect integration of the commas, as well as full stop, helps sustain the essence of the sentence and idea. Make sure you use these in balance proportion because improper usage makes our paper seem like a jumbled mess. Emulation of the success in the writing is actually achieved by practicing. 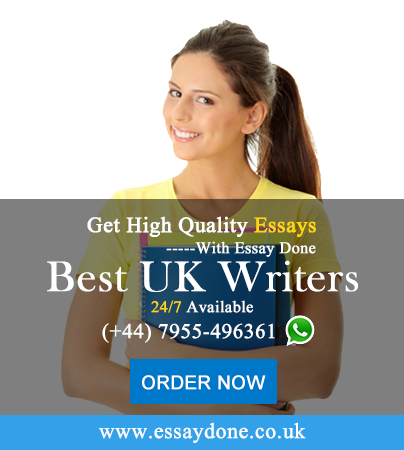 The professional essay writing service is always there to guide you. Use it for guidance, for learning and for progressing your way out, instead of completely relying on it. Nothing in the world can provide you with success unless you hustle your way through it. All in all remember to make mistakes in this expedition, i.e. to fail, to learn and then to grow. Because my friend what matters, in the end, is how much we have learned and grow.